When you are looking for a veterinary care facility you should be able to count on superior care and excellent service. 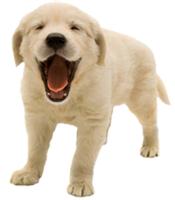 We at Loving Hands Animal Hospital in Chino, CA have assembled an expert team of veterinary professionals to bring you the best possible healthcare for your pet. We have a state of the art veterinary facility which is clean, comfortable, and efficient. Call 909-591-2273 to schedule an appointment and we will find a time that is convenient for you. Once every 6 months, you should take your pet in for a routine check-up. This will include a full physical exam, and may include scheduling teeth and gum cleaning if needed. After completing any necessary paperwork, a staff member will lead you into an exam room to meet the doctor. One of our experienced veterinarians will examine your pet from head to tail, and will explain any abnormalities found. If diagnostics or treatment are needed, your veterinarian will make sure to fully explain why they are being recommended, and discuss any options if available. After all questions have been answered, a staff member will review the written treatment along with itemized prices, to ensure a full understanding of any procedures to be done. In some circumstances, one of our veterinarians will refer you to a specialist who has advanced expertise in areas such as internal medicine, surgery or oncology.